Multivariate Optical Element innovator, CIRTEMO, announced today that the company has developed the world’s first nanoscale optical arrays using MagAssemble technology. 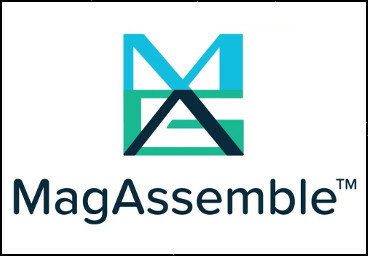 CIRTEMO is commercializing two core optics platforms; Multivariate Optical Computing (MOC) and Pattern Transfer Nanomanufacturing (PTMN) based on MagAssemble technology. The MOC platform allows for the design and manufacture of patented optical filters, Multivariate Optical Elements, which are encoded to detect/measure complex chemical compounds and attributes in real-time. The PTMN platform allows CIRTEMO to design and manufacture shapes and structures on the nanometer scale. These features can then be transferred to a wide variety of substrates for producing unique optics that are not possible with traditional optical manufacturing techniques. CIRTEMO’s technology platforms are ideally suited for both point detection sensors and hyperspectral imaging systems. CIRTEMO primarily partners with Optical Filter Manufactures (OFMs) and Optical Component and System Manufacturers (OCSMs). CIRTEMO’s technology platforms allow OFMs and OCSMs to differentiate their offerings with a well-protected IP position and enable their customers to tackle new applications that are not possible with traditional optical filters and coatings. CIRTEMO is the second company to be founded to commercialize the patented Multivariate Optical Element platform that was invented by Dr. Michael Myrick at the University of South Carolina. 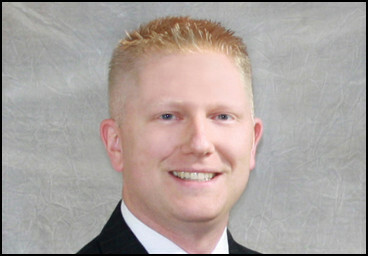 Prior to founding CIRTEMO, Jason Williamson founded Ometric in 2005. Ometric successfully commercialized the Multivariate Optical Element platform in a wide variety of large industrial sectors, including pharmaceuticals, chemicals, pet nutrition, mining, food and many others. 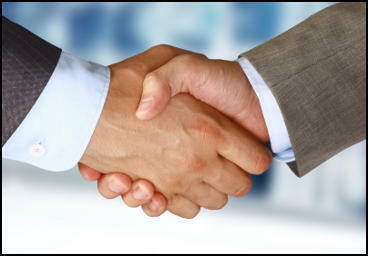 The company was sold to Halliburton in 2011. Although the exact sale price of Ometric is considered confidential, Halliburton paid more than eight figures for the company, and the transaction generated the largest royalty payment in history ever paid to the University of South Carolina ($2.7M). Multivariate Optical Element innovator, CIRTEMO, announced today that Semiconductor Devices (SCD) and SCD USA will showcase a Multivariate Optical Element hyperspectral imaging demonstration at SPIE DCS 2017 exposition in Anaheim, CA April 9-13, 2017. SPIE Defense + Commercial Sensing Expo hosted at the Anaheim Convention Center, is the key premier exhibition for researchers, engineers, product developers, and purchasers who specialize in optics and photonics. CIRTEMO designs and manufactures patented optical filters, called Multivariate Optical Elements, which are encoded to detect/measure complex chemical compounds and attributes. It’s patented Multivariate Optical Element platform enables optical systems to perform high value detection and analysis at the speed of light, to a variety of industries. Multivariate Optical Elements are ideally suited for point detection sensors and hyperspectral imaging systems. During the SPIE DCS 2017 conference, CIRTEMO personnel, will be at the Semiconductor Devices (SCD) booth #301 to provide a technology overview of how companies and end users can leverage the patented Multivariate Optical Element for advanced hyperspectral imaging applications. Multivariate Optical Element innovator, CIRTEMO, announced today that Dexter Research will showcase a new class of infrared chemical sensors at Sensors Expo 2016 in San Jose, CA June 22-23, 2016. Sensors Expo and Conference, hosted at the McEnery Convention Center, is North America’s premier exhibition for researchers, engineers, product developers, and purchasers who are focused on sensors and sensor-integrated systems. 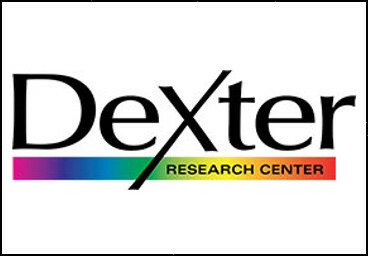 During the Sensors Expo 2016 conference, members of the CIRTEMO team will be at the Dexter Research booth #629 to provide a technology overview of how companies and end users can leverage the patented Multivariate Optical Element with Dexter’s Infrared detectors for advanced chemical sensing applications. Multivariate Optical Element innovator CIRTEMO announced today that Chroma Technology Corp., and it’s small instrument subsidiary 89 North Inc. will host Dr. Ryan Priore, CIRTEMO Chief Technology Officer, at Photonics West in San Francisco February 16th through February 17, 2016. With more than 20,000 attendees from 80-plus countries, Photonics West 2016 at the Moscone Convention Center is the premier venue for optics, photonics and multivariate optical computing. 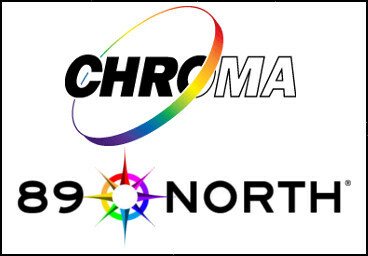 CIRTEMO Chief Technology Officer, Dr. Ryan Priore will be at the Chroma and 89 North booth to provide a technology overview of how companies and end users can leverage the patented Multivariate Optical Element platform. Dr. Priore will be at the booth at 11 AM and 1 PM on February 16 and 17. Interested parties will also have an opportunity to register to be selected to have a Multivariate Optical Element designed by CIRTEMO and manufactured by Chroma for their specific application. Chroma will also host private briefings by appointment to discuss the Multivariate Optical Element platform. CIRTEMO designs and manufactures patented optical filters, called Multivariate Optical Elements (MOE), which are encoded to detect/measure complex chemical compounds and attributes. Its patented Multivariate Optical Element platform enables optical systems, to perform high-value detection and analysis at the speed of light, to a variety of industries. Multivariate Optical Elements are ideally suited for point detection sensors and hyperspectral imaging systems. CIRTEMO has chosen to partner with Chroma Technology to manufacture these patented filters. 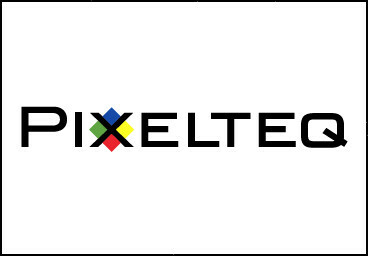 Multivariate Optical Computing innovator, CIRTEMO™, announced today that PIXELTEQ will showcase a Multivariate Optical Element hyperspectral imaging demonstration at Electronic Imaging 2016 in San Francisco February 16-17, 2016. The 2016 IS&T International Symposium on Electronic Imaging (EI 2016) will be held at the Hilton San Francisco Union Square in San Francisco, California, 14-18 February 2016. CIRTEMO designs and manufactures patented optical filters, called Multivariate Optical Elements, which are encoded to detect/measure complex chemical compounds and attributes. Its patented Multivariate Optical Element platform enables optical systems, to perform high value detection and analysis at the speed of light, to a variety of industries. Multivariate Optical Elements are ideally suited for point detection sensors and hyperspectral imaging systems. During the Electronic Imaging 2016 conference, CIRTEMO Chief Technology Officer, Dr. Ryan Priore, will be at the PIXELTEQ demonstration to provide a technology overview of how companies and end users can leverage the patented Multivariate Optical Element and Pixelated platforms for advanced hyperspectral imaging applications. The hyperspectral imaging demonstration will feature CIRTEMO’s Multivariate Optical Element platform, PIXELTEQ’s Spectrocam kit, and, Raptor Photonic’s Owl 640 camera integrated with SCD’s InGaAs sensor. The 2016 Electronic Imaging Demonstration Session will be held at the Hilton San Francisco, Union Square Hotel, February 16, 2016 from 5:30-7:30 pm. 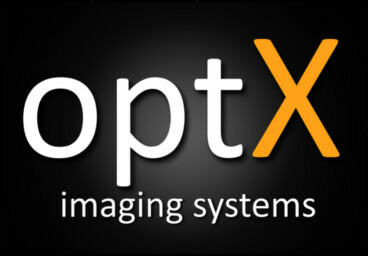 Multivariate Optical Computing innovator, CIRTEMO™, announced today that the company will partner with optX imaging systems LLC of Lorton, VA to develop a novel Short Wave Infrared (SWIR) tactical hyperspectral imaging sensor for Defense Advanced Research Projects Agency (DARPA), an agency of the U.S. Department of Defense. Multivariate Optical Computing innovator, CIRTEMO™, announced today that the company will partner with Semi Conductor Devices (SCD) of Hafia, Isreal to develop next generation hyperspectral imagers based on the Multivariate Optical Element platform. Dr. Ryan Priore, Chief Technology Officer of Multivariate Optical Element innovator CIRTEMO™, will present a poster showcasing National Science Foundation funded research for advancing Multivariate Optical Computing for fluorochrome discrimination during the 5:30pm “Optical Diagnostics and Sensing XV: Toward Point-of-Care Diagnostics” session Monday, February 9, 2015 at Photonics West. SPIE Photonics West 2015 is the leading conference for biophotonics and biomedical optics, optoelectronics, microfabrication, and photonics. In addition to the poster session during the SPIE BiOS and Photonics West conference, CIRTEMO™ experts will provide a technology overview of how companies and end users can leverage the CIRTEMO™ Multivariate Optical Element platform. The company will also host several free “lunch and learn” sessions and private briefings to discuss the new Multivariate Optical Element platform for fluorochrome discrimination throughout the week. Multivariate Optical Element innovator CIRTEMO announced today that the company has won a National Science Foundation (NSF) grant award. 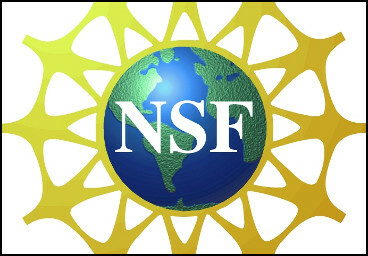 The NSF awarded the prestigious grant to fund the development of a new Multivariate Optical Element (MOE) technology platform for fluorescence biomarker applications. CIRTEMO announced today that the company will unveil an updated Multivariate Optical Element (MOE) platform for fluorochrome discrimination version 2.0 at the 2013 American Society for Cell Biology (ASCB) annual meeting. 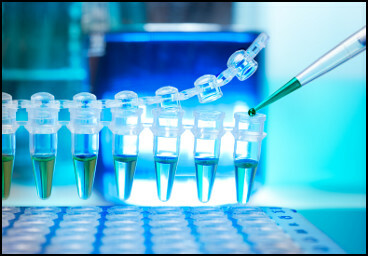 The trade show, to be held in New Orleans’ Ernest N. Morial Convention Center from December 14 through 17, is the largest annual meeting of research cell biologists in the world. “After our first fluorochrome discrimination platform launched early this year, CIRTEMO’s partners and customers provided valuable insight into the capabilities they are looking for in optical filters for their instruments and research,” said Jason Williamson, CIRTEMO founder. “The imaging and excitation capabilities recently added to our fluorochrome discrimination platform are significant for cell researchers, instrument and diagnostic manufacturers alike,” said Dr. Ryan Priore, CIRTEMO’s CTO. Multivariate Optical Element innovator CIRTEMO announced today that the company will unveil a new platform specifically focused on Neurobiology Applications in San Diego November 9 through November 13, 2013. With more than 30,000 attendees from 80-plus countries, Neuroscience 2013 at the San Diego Convention Center is the premier venue for neuroscientists. 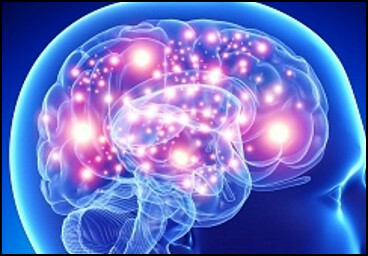 During the Neuroscience 2013 conference, CIRTEMO experts will provide a technology overview of how companies and end users can leverage the patented Multivariate Optical Element platform. The company will also host several free “lunch and learn” sessions and private briefings to discuss the new Multivariate Optical Element platform for Neuroscience throughout the week. 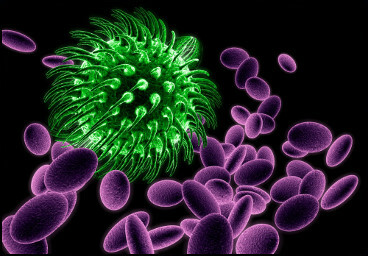 Commercial assays such as cytometry and pathology employ fluorochromes for cellular differentiation. 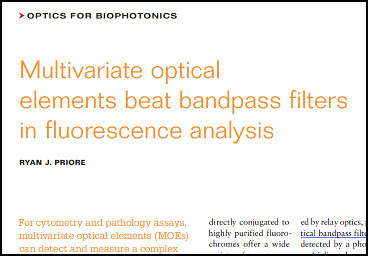 In order to detect spectroscopic overlapping fluorochromes via bandpass filters, a non-trivial process of compensation is employed. Compensation leads to standard deviation differences in measured signals among the primary and spillover detectors which result in broader detection distributions and decreased sensitivities as well as fluorescence detections less than zero. Multivariate Optical Elements (MOEs) are wide bandpass optical filters encoded to detect/measure a complex chemical signature (i.e. target fluorochrome) in the presence of a strongly interfering matrix (i.e. secondary fluorochrome) and offer increased sensitivity and specificity for fluorochrome discrimination over bandpass filters. Multivariate Optical Element (MOE) innovator CIRTEMO announced today that the company will unveil a novel platform for Compressed Infrared (IR) Hyperspectral Imaging (HSI) at the SPIE Defense, Security & Sensing symposium and exhibition in Baltimore, Maryland at the Baltimore Convention Center on April 30 through May 2, 2013. 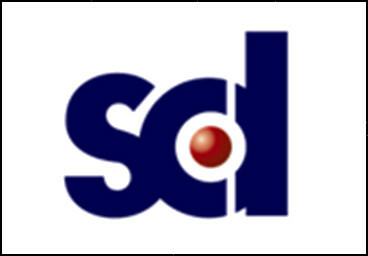 SPIE DSS is the largest international symposium related to optical sensors, systems, and sensing platforms. Multivariate Optical Element innovator CIRTEMO today unveiled a novel platform specifically designed for Nondispersive Infrared (NDIR) System manufacturers. The new platform allows for greater signal to noise ratios and increased sensitivity and specificity that will benefit NDIR system manufacturers and their customers. “For decades NDIR sensor manufacturers have been limited to very narrow band filters to detect simple, straight forward gases. Now, by leveraging our Multivariate Optical Element platform, NDIR manufacturers can use their existing optical systems to detect very complex, spectrally overlapping gases,” said Dr. Ryan Priore, CIRTEMO’s chief technology officer. CIRTEMO’s patented optical filters, called Multivariate Optical Elements, are encoded to detect and measure complex chemical compounds and attributes. Its patented Multivariate Optical Element platform enables optical systems to perform high value detection and analysis at the speed of light to a variety of industries. 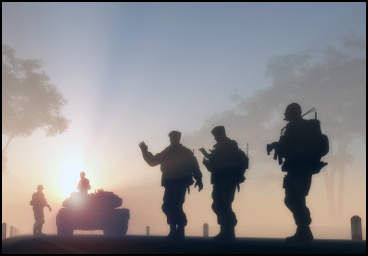 The technology also enables NDIR manufacturers to differentiate their sensors and optical system platforms in the marketplace. Multivariate Optical Element innovator CIRTEMO announced today that the company will unveil a novel partnership program for Optical Filter Manufacturers (OFMs) at the SPIE Photonics West 2013 exhibition this year at the Moscone Center in San Francisco, February 5-7. SPIE Photonics West 2013 is the leading conference for biophotonics and biomedical optics, optoelectronics, microfabrication, and photonics. Multivariate Optical Element innovator CIRTEMO announced today that the company will unveil their next generation life science platform at the SPIE Photonics West 2013 exhibition this year at the Moscone Center in San Francisco February 2-3. SPIE BiOS is the leading conference for biomedical optics, diagnostics and therapeutics, biophotonics, optical microscopy, optical coherence tomography and optogenetics. Multivariate Optical Element innovator CIRTEMO announced today that Dr. Ryan Priore has joined the company as Chief Technology Officer. Dr. Priore will lead all aspects of commercializing and advancing CIRTEMO's patented Multivariate Optical Element technology platform. Prior to joining CIRTEMO Dr. Priore served as Director of Biomedical Research & Development at ChemImage (Pittsburgh, PA). He also held previous roles as Director of Applications & Contract Services, and at OMETRIC (Columbia, S.C.) he was a Senior Application Engineer. He is a graduate of the University of South Carolina, where he earned his Ph.D. in Analytical Chemistry. Multivariate Optical Element innovator CIRTEMO today announced the initial close of its Series A funding round. 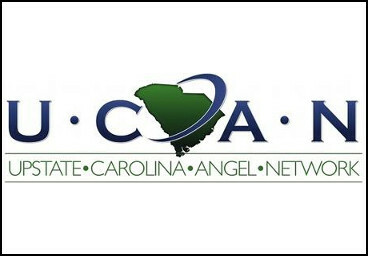 The S.C.-based Upstate Carolina Angel Network led the financing that also included additional private investors. Proceeds from the initial financing will be used to hire key technical personnel and to support ongoing sales and marketing activities. CIRTEMO designs and manufactures patented optical filters, called Multivariate Optical Elements, which are encoded to detect or measure complex chemical compounds and attributes. Its patented Multivariate Optical Element platform enables optical systems to perform high value detection and analysis at the speed of light, to a variety of industries, including life sciences, chemicals, medical devices, agriculture, food and beverage, pet nutrition, environmental, plastics, semi-conductor and multiple cleantech applications. CIRTEMO is the second company to be founded to commercialize the patented Multivariate Optical Element platform that was discovered by Dr. Michael Myrick at the University of South Carolina. Prior to founding CIRTEMO Williamson founded OMETRIC in 2005. OMETRIC successfully commercialized the Multivariate Optical Element platform in a wide variety of large industrial sectors, including pharmaceuticals, chemicals, pet nutrition, mining, food and many others. 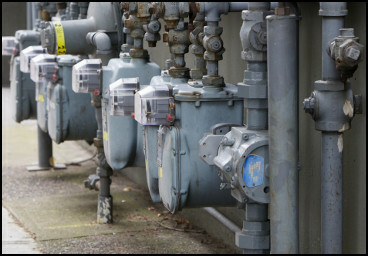 The company was sold to Halliburton in 2011. Although the exact sale price of OMETRIC is considered confidential, Halliburton paid over eight figures ($XXM) for the company, and the transaction generated the largest royalty payment in history ever paid to the University of South Carolina ($2.4M).